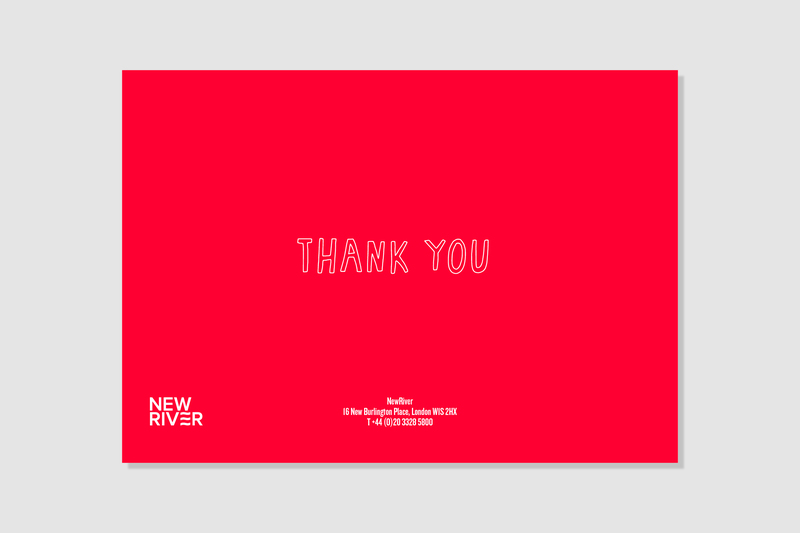 NewRiver is a leading property investor, asset manager and developer specialising in the UK retail and leisure sector. 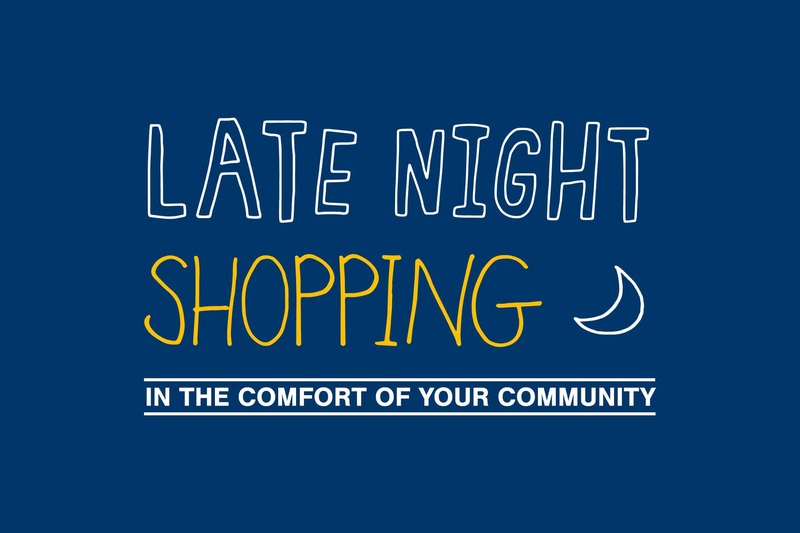 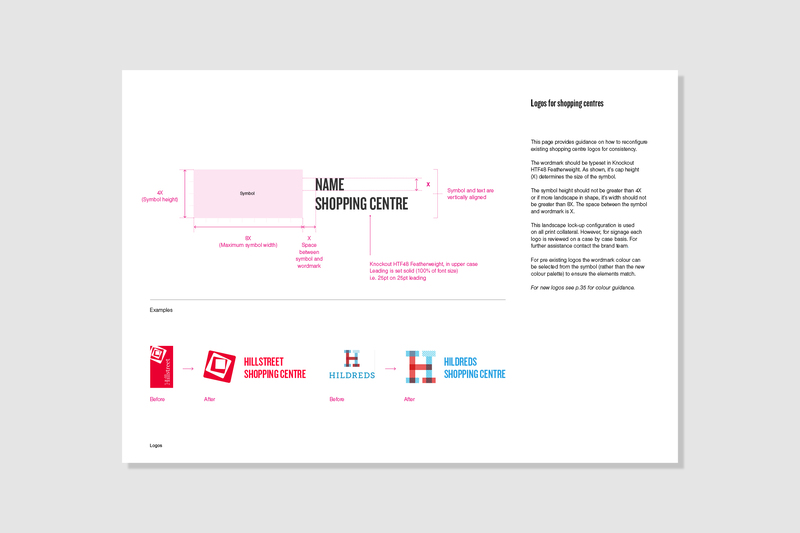 They currently have 33 shopping centres across the UK. 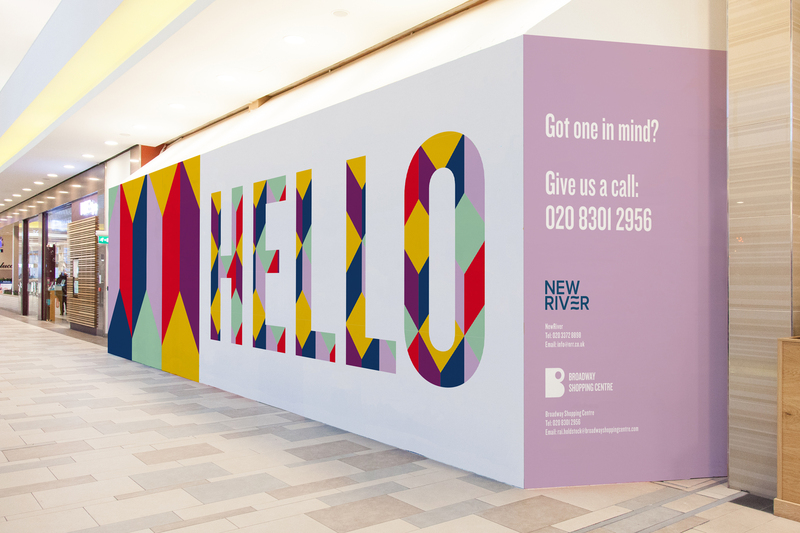 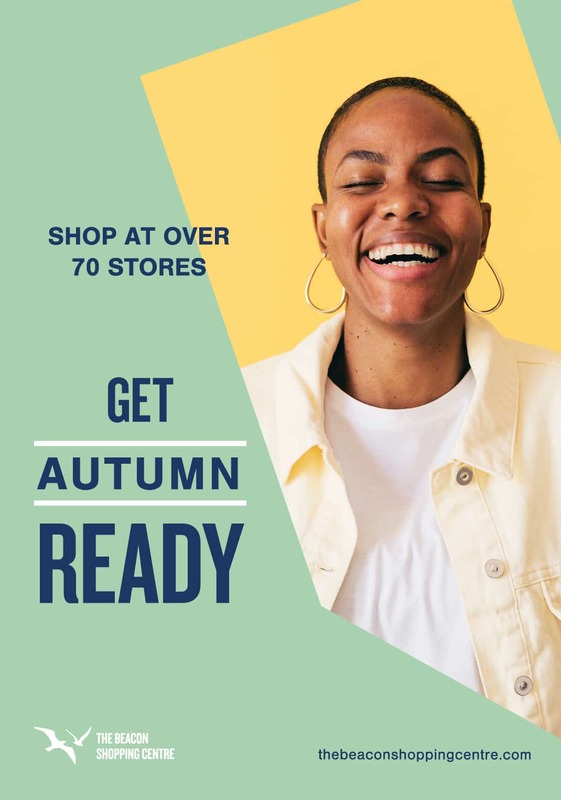 NewRiver wanted to clearly define their shopping centres personality and build a more consistent brand look and feel which could be used across all of their estate. 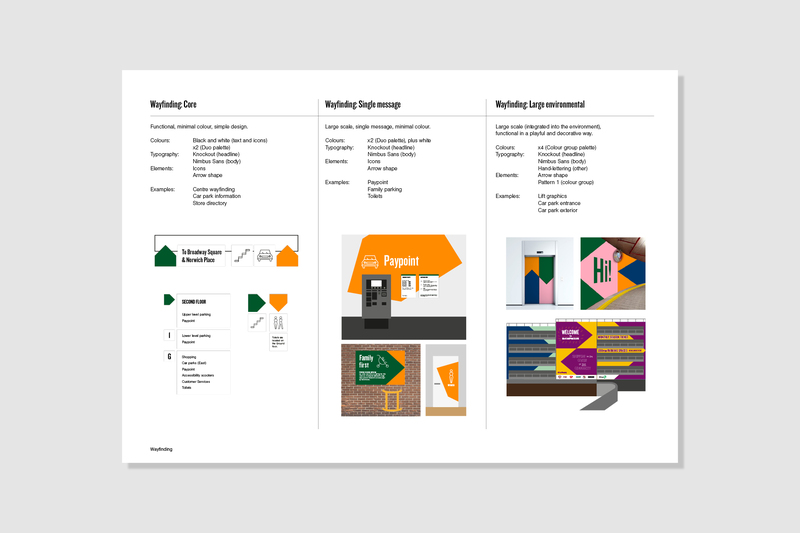 The end result of the project would be an environmental brand manual for the internal design team and centre managers to use. 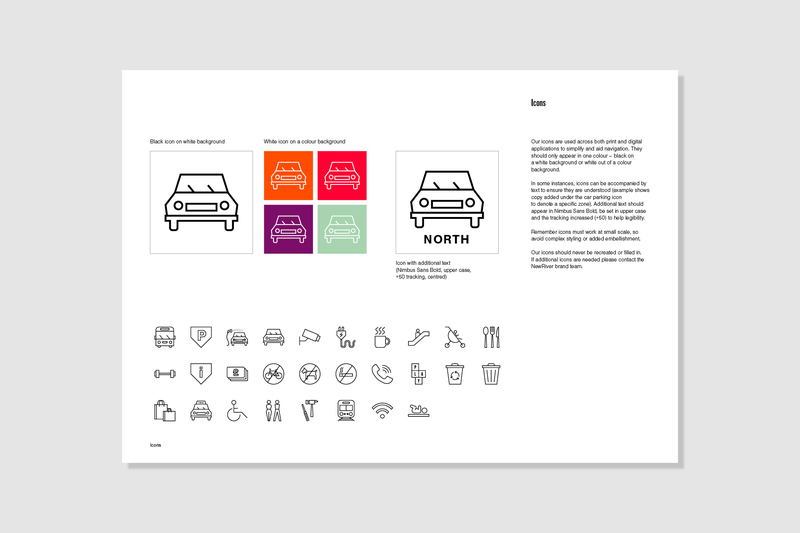 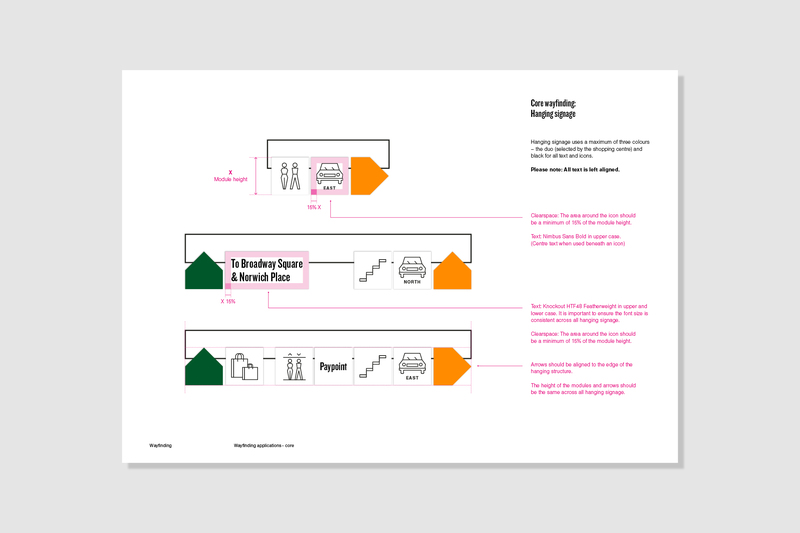 The manual would look at all customer touch points, including entrances and exits, car parks, signage, seating and toilets. 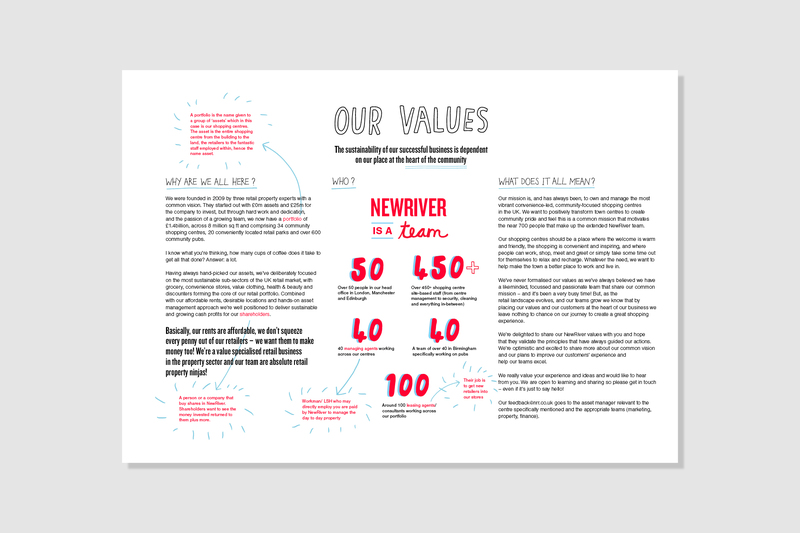 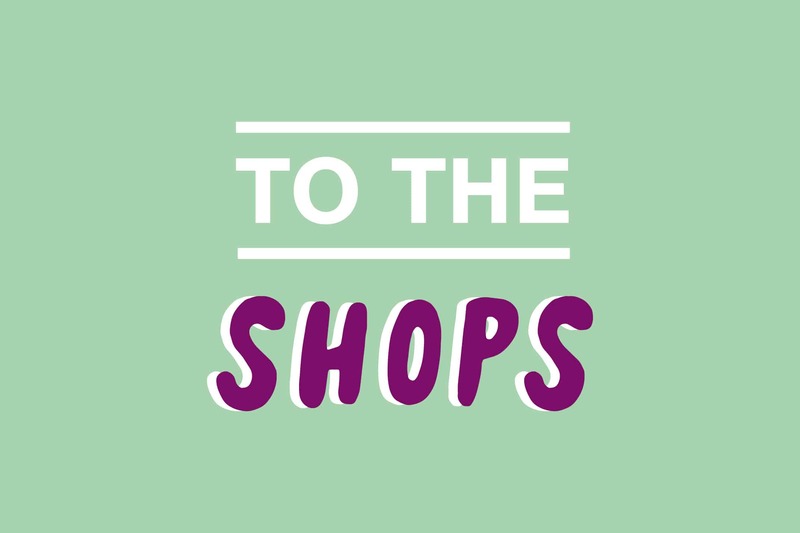 We ran a workshop with NewRiver and brand strategist Deborah Taffler to help identity and create a solid brand position for the NewRiver shopping centres. 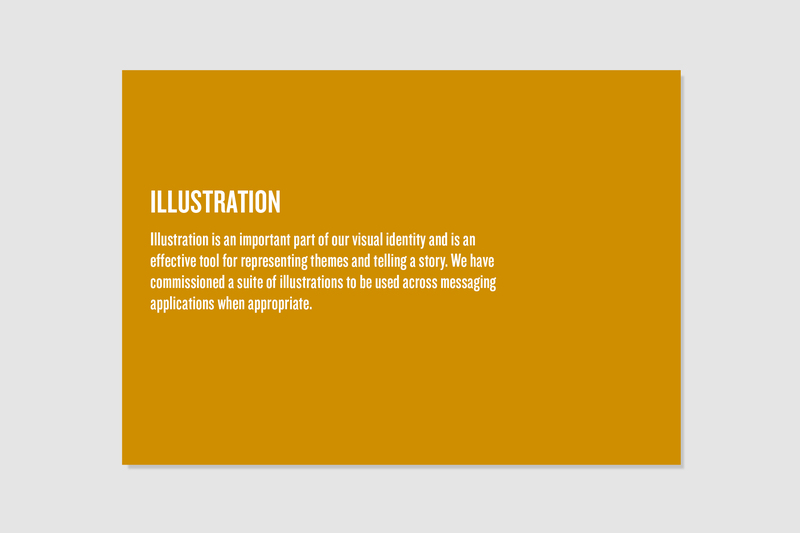 We also discussed the tone of voice and suitable language to use. 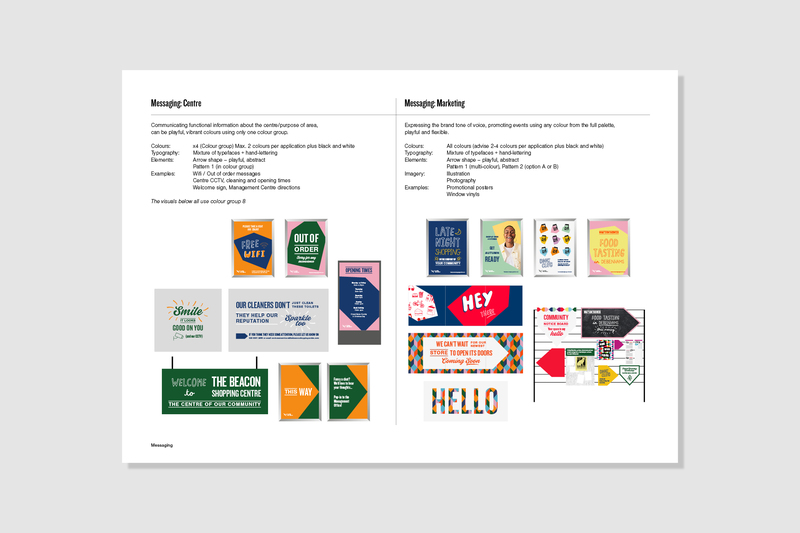 Collaborating with copywriter Anna Whitaker, we developed long and short brand statements and established a framework for tone of voice and brand language for internal and external communication. 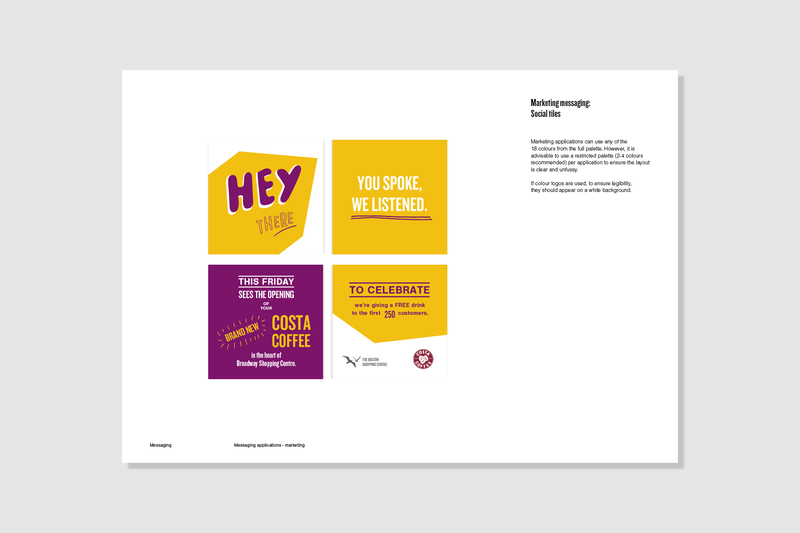 Once the strategy and tone of voice was agreed upon we explored how to bring the new positioning to life. 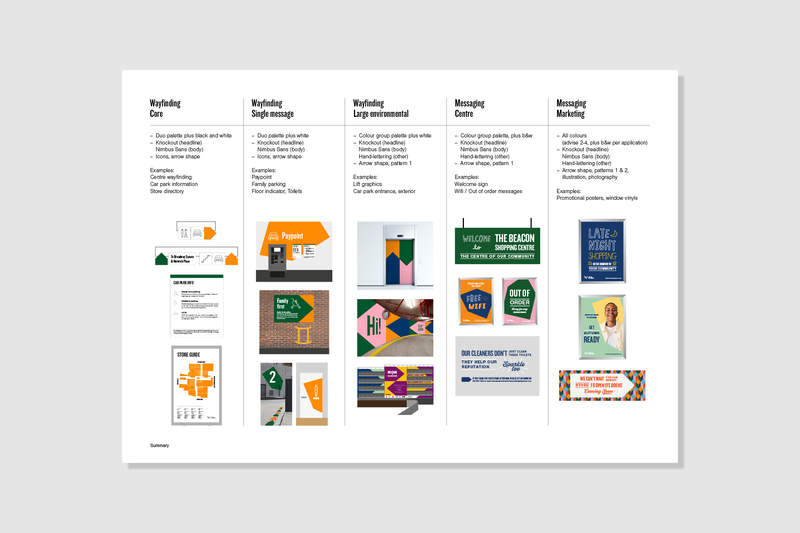 The environmental system is based around the use of an arrow device, which references leading the way and connecting the community and retailers. 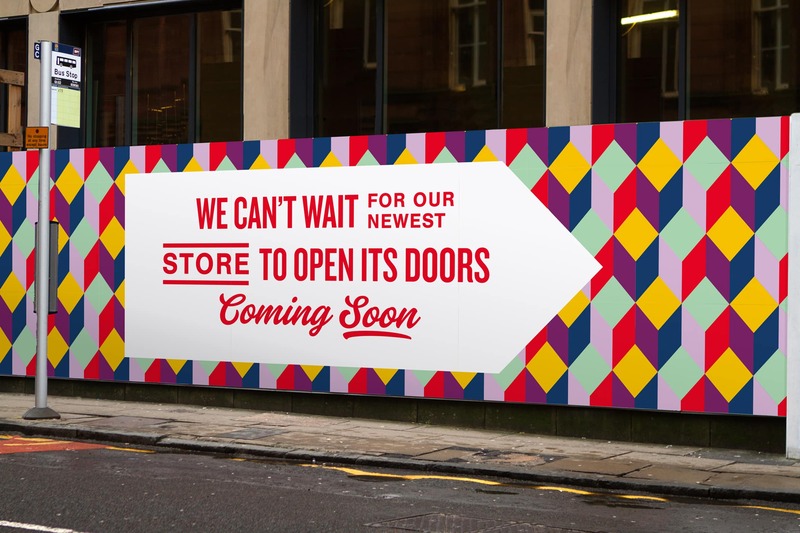 This was paired with bold and bright colours and hand lettering to add warmth, referencing the human side of the business. 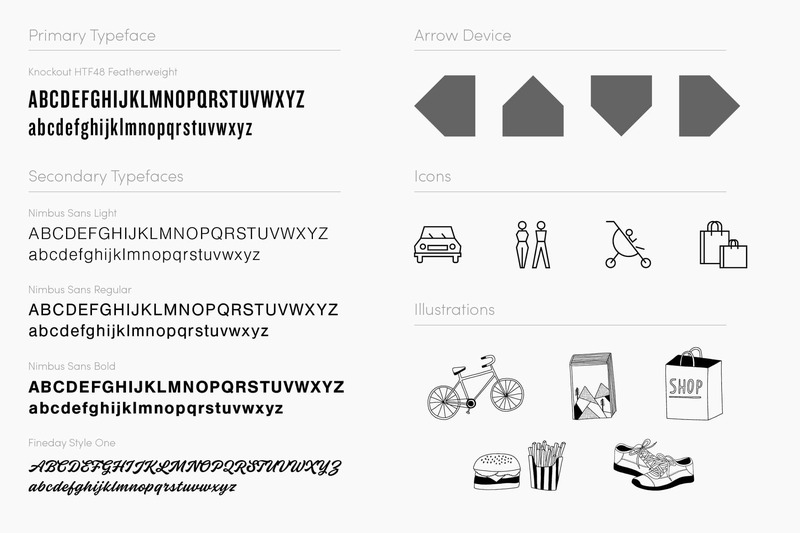 The arrow can be expanded and used in dynamic ways for different applications. The system needed enough flexibility to enable each shopping centres to create it’s own look and feel, however it needed enough structure so that it was recognised as a NewRiver shopping centre and enabled centre managers to make quick design decisions. 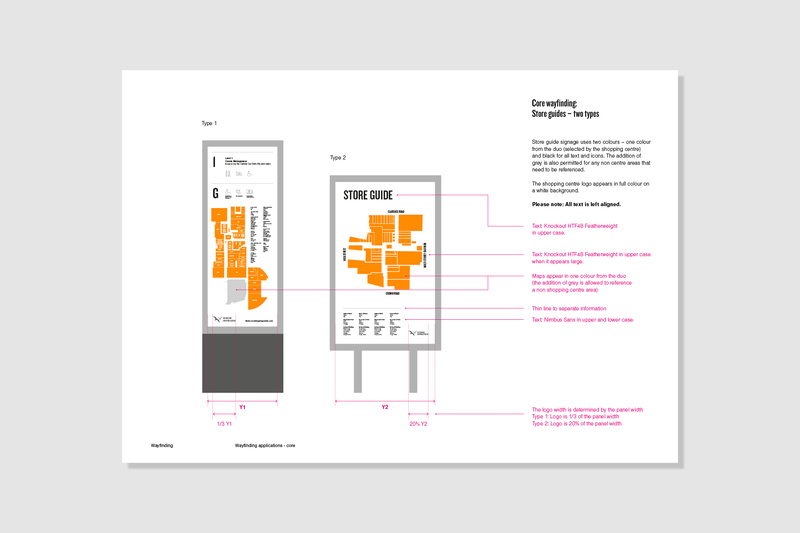 To achieve this, we divided the shopping centre signage into two main groups: wayfinding and messaging. 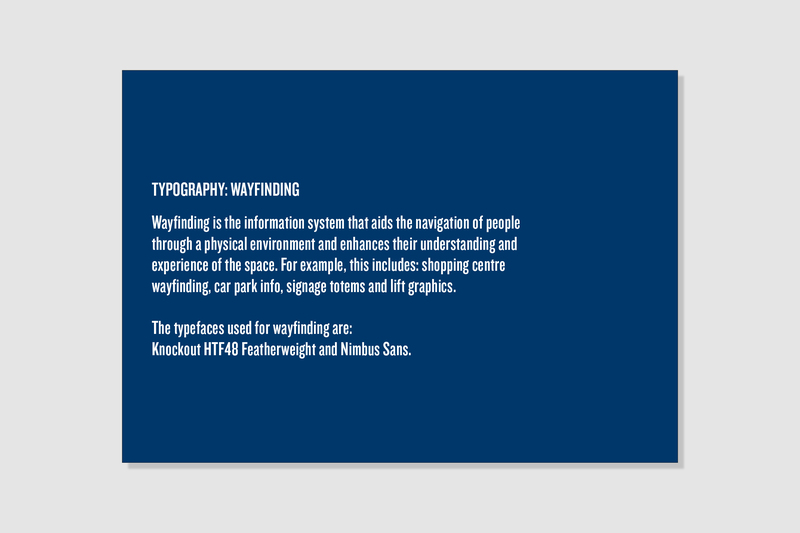 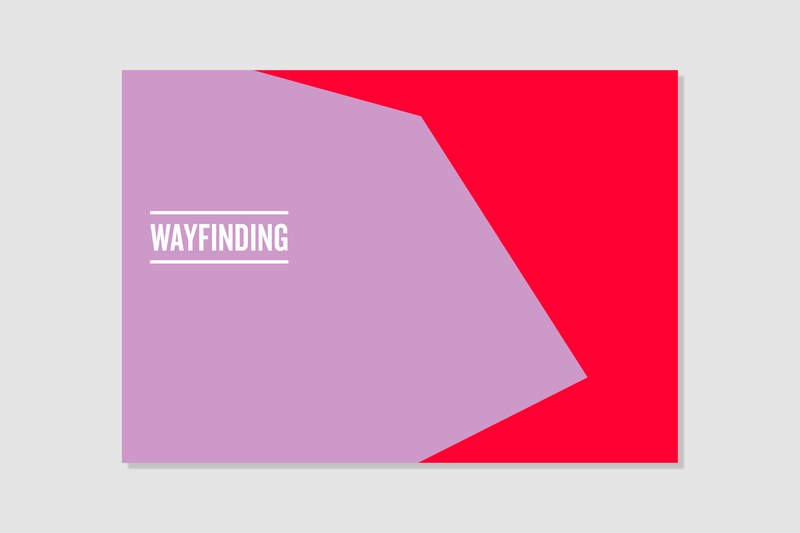 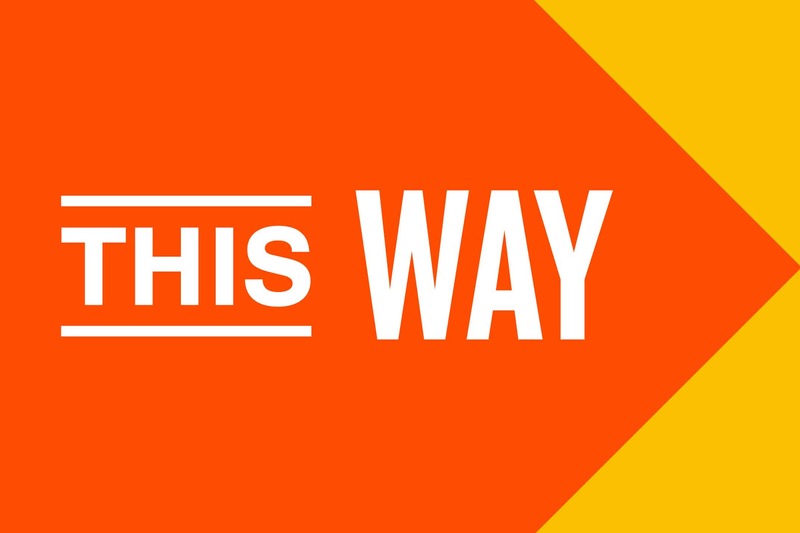 Wayfinding is the information system that aids the navigation of people through a physical environment and enhances their understanding and experience of the space. 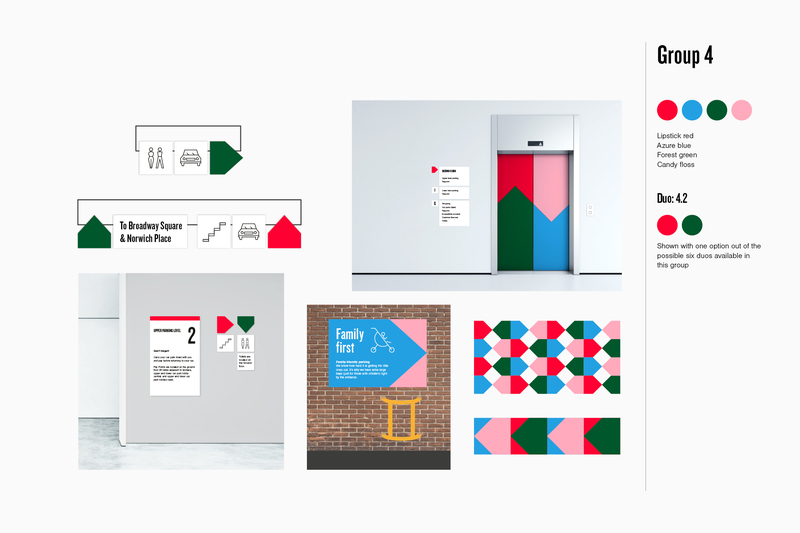 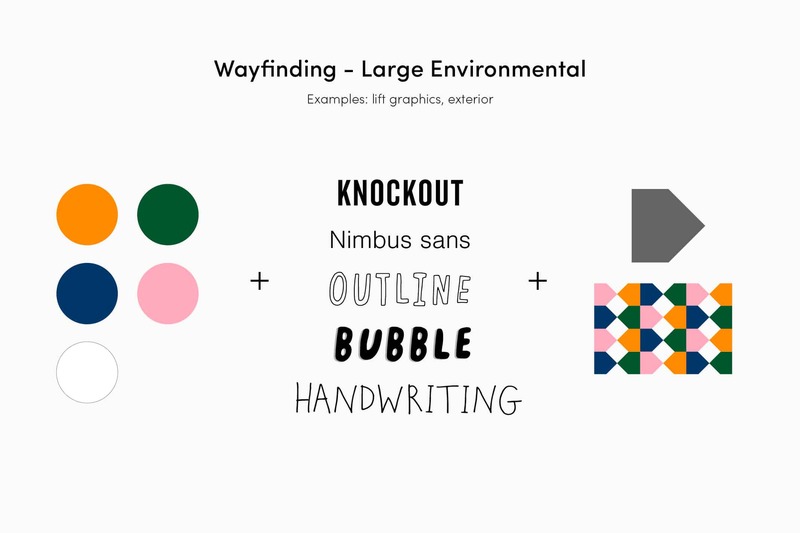 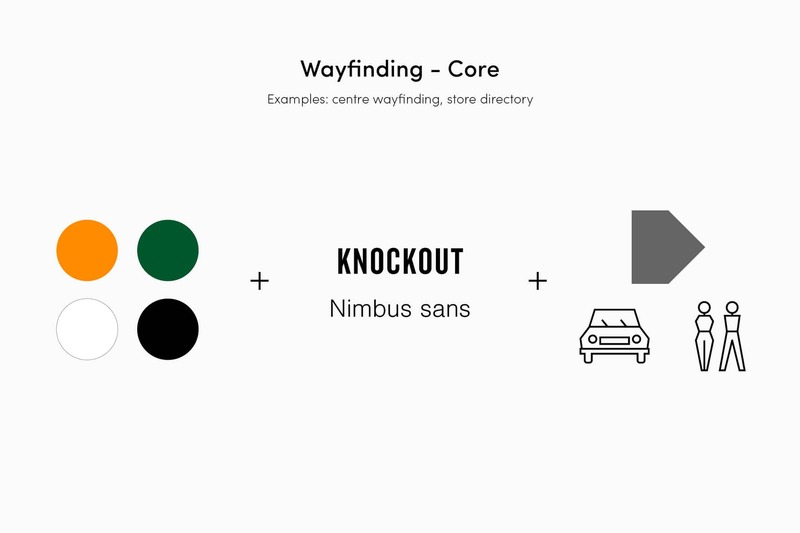 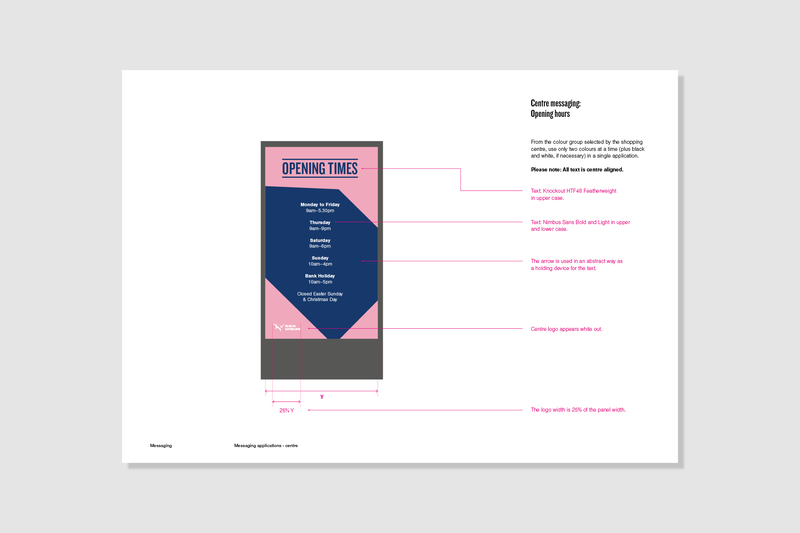 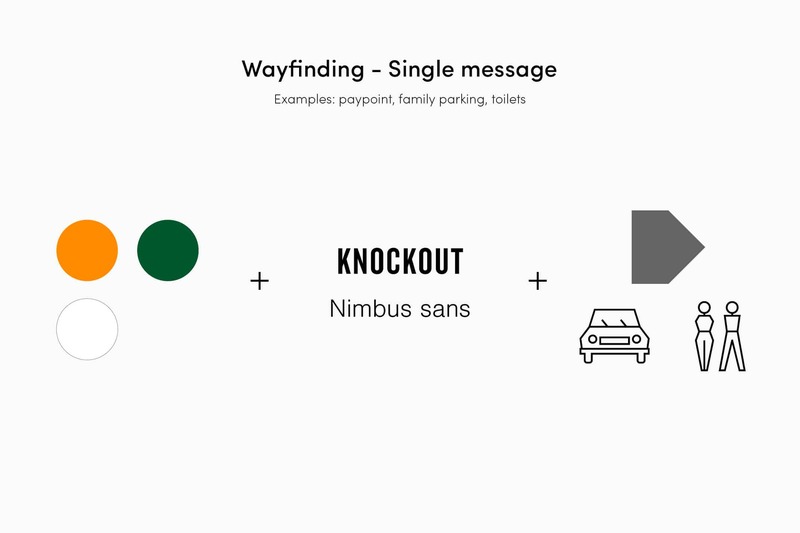 There are three types of wayfinding: core, single message and large environmental. 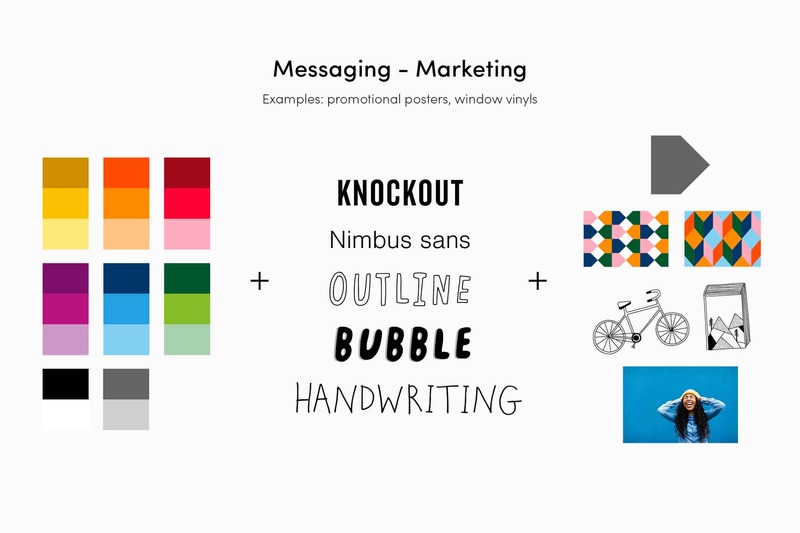 Messaging expresses the essence and tone of voice of the brand. 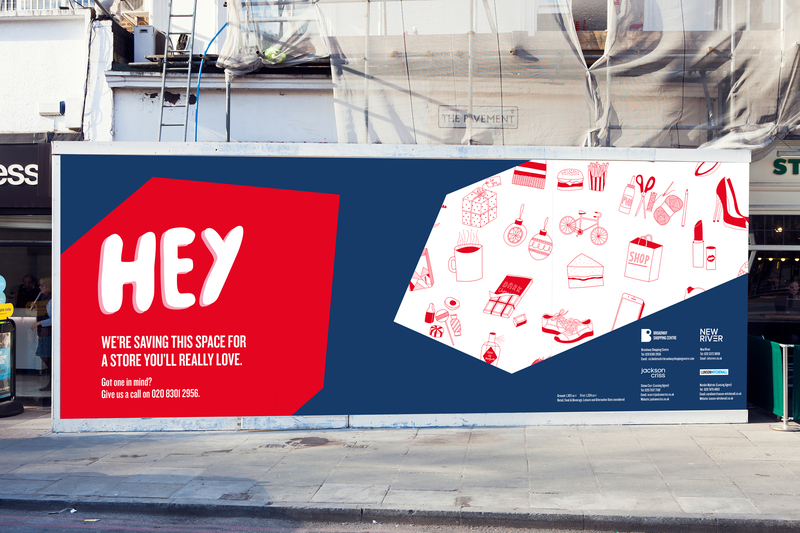 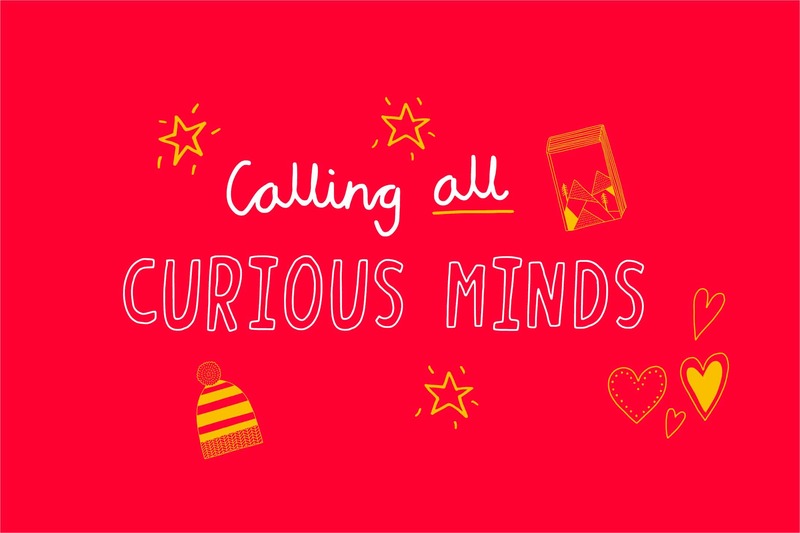 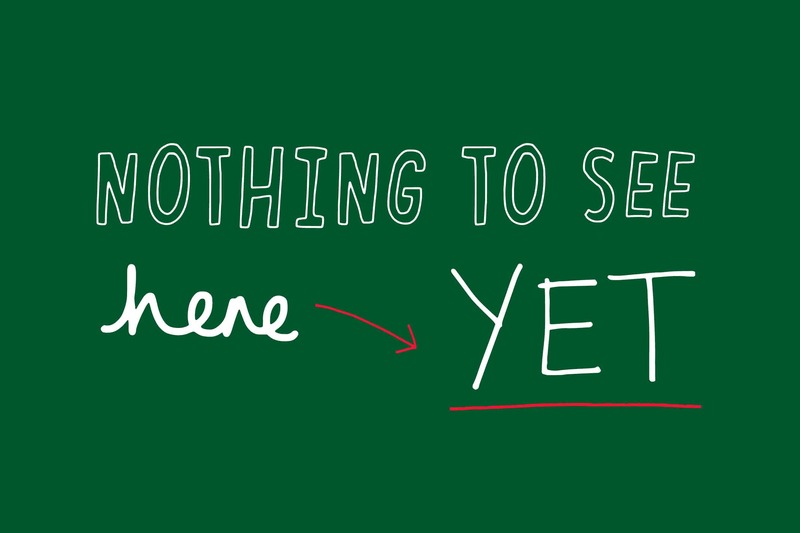 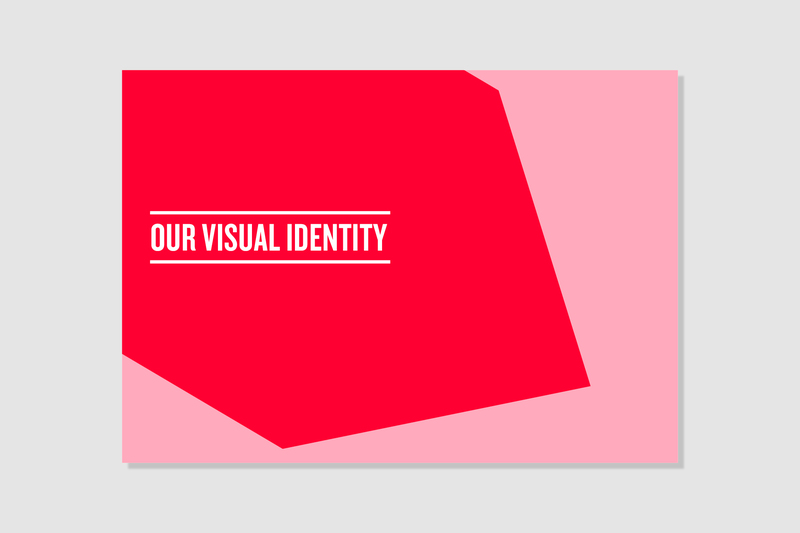 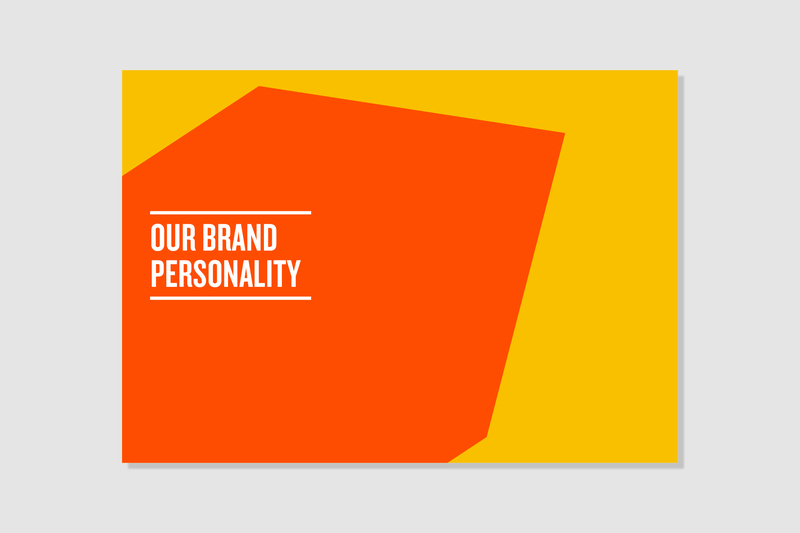 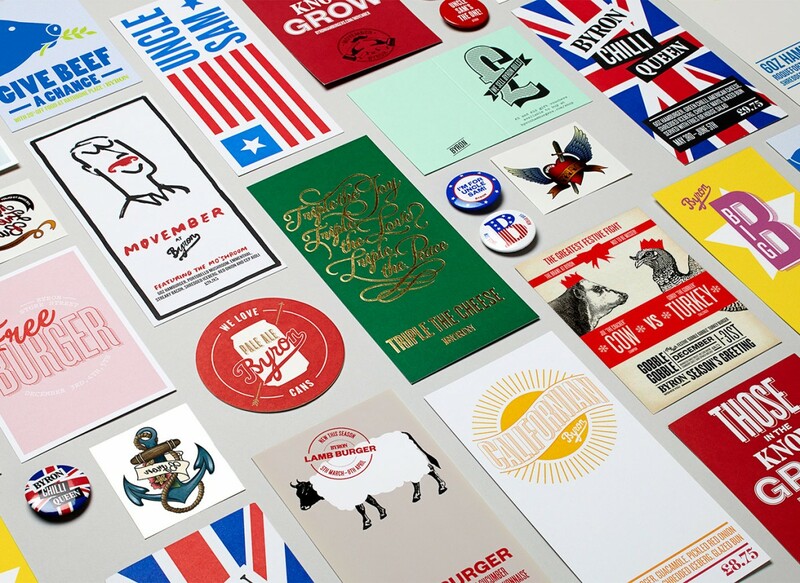 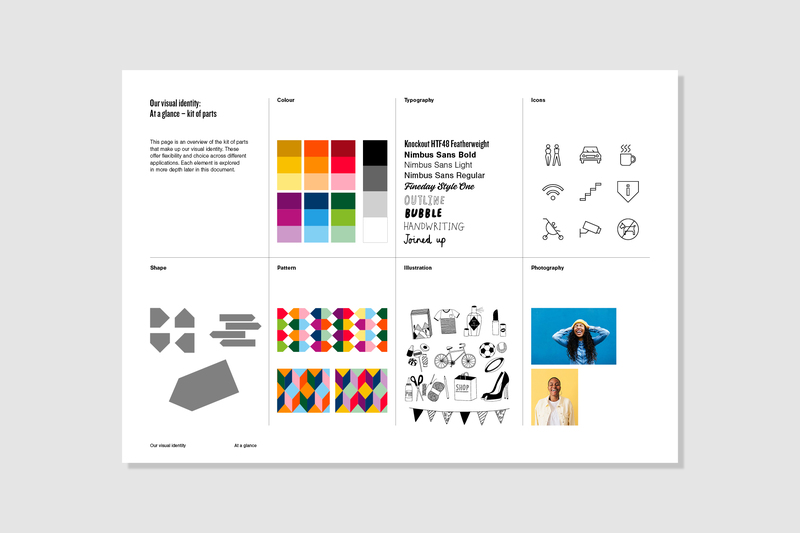 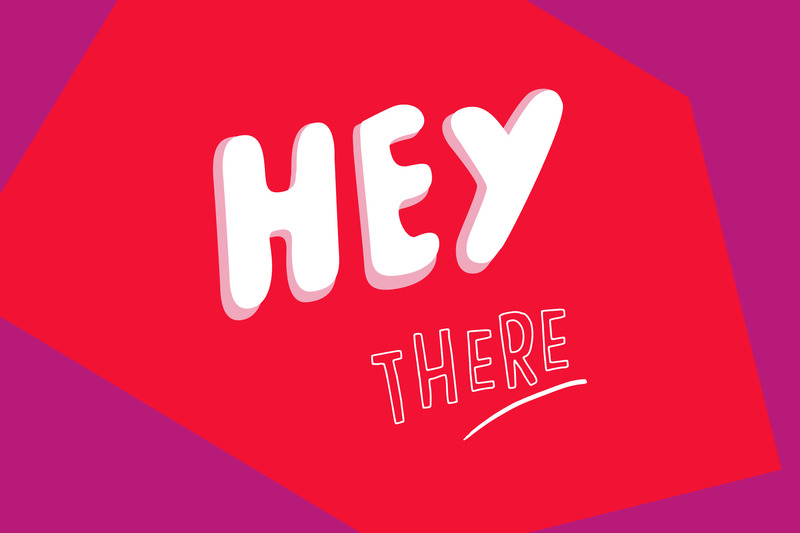 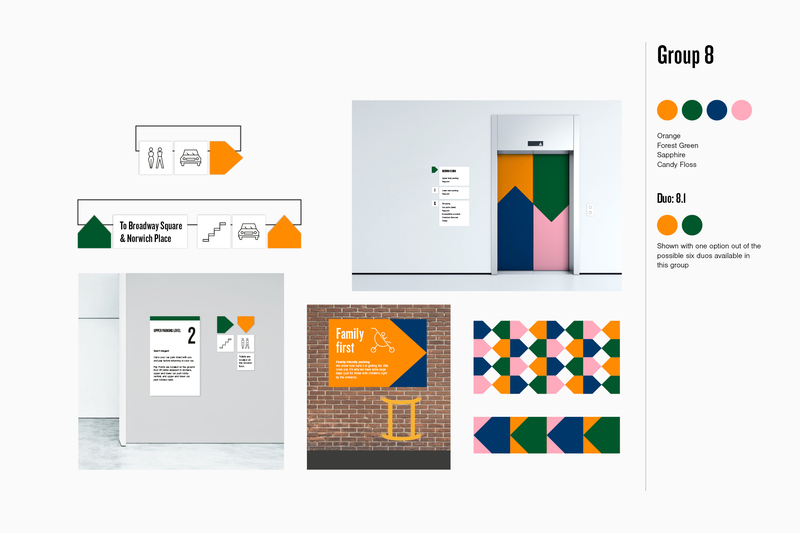 It uses the visual identity in a playful, positive and dynamic way. 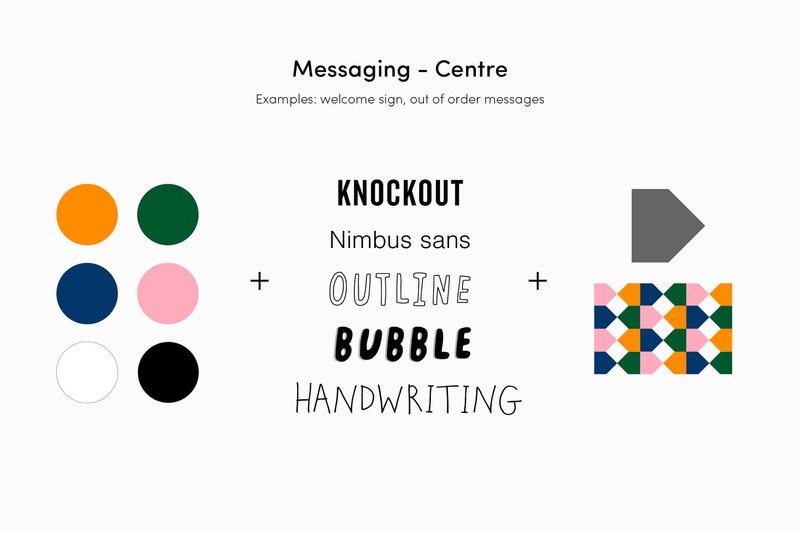 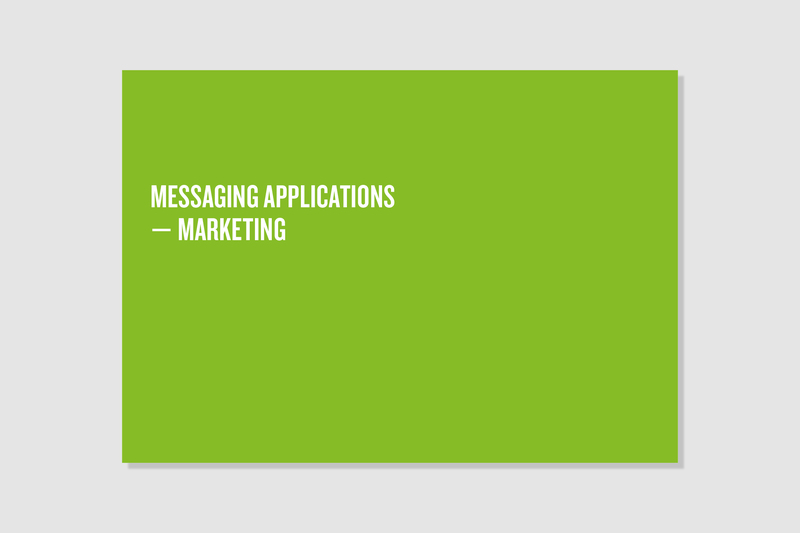 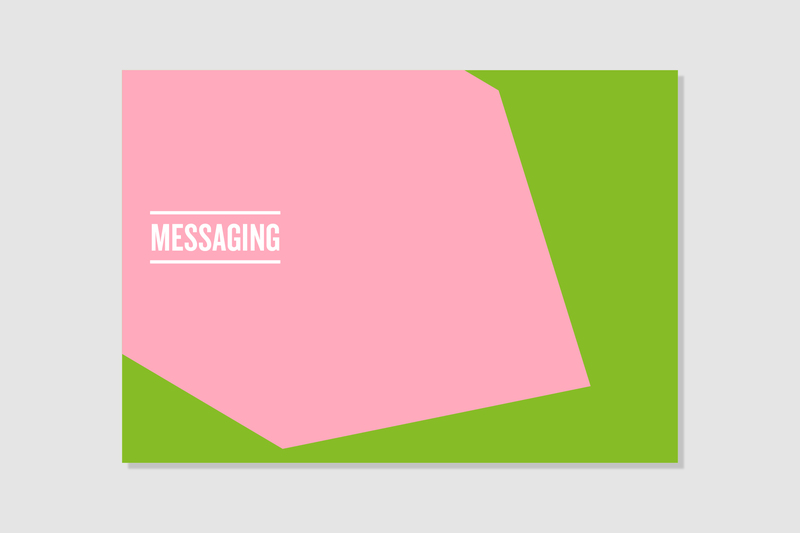 There are two types of messages: centre and marketing. Each level had it’s own kit of parts, consisting of colour, typography, icons, shapes and patterns. 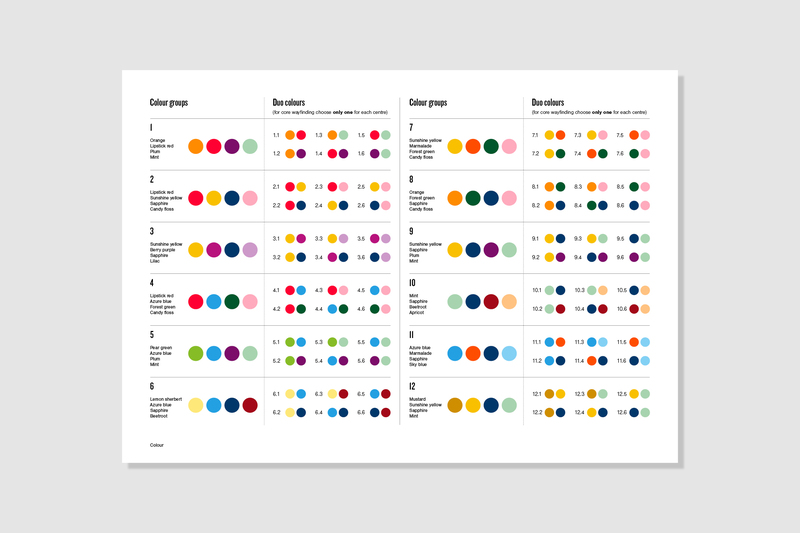 Furthermore, we created 12 colour groups from a large colour palette of 18 colours. 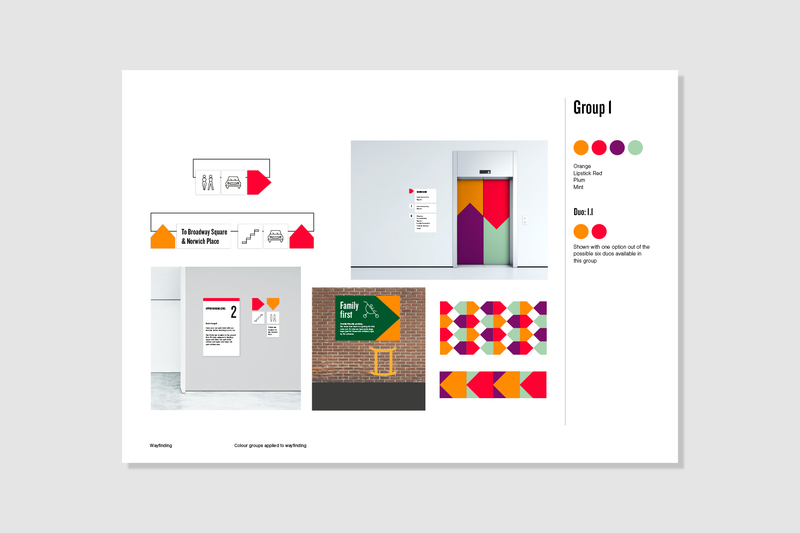 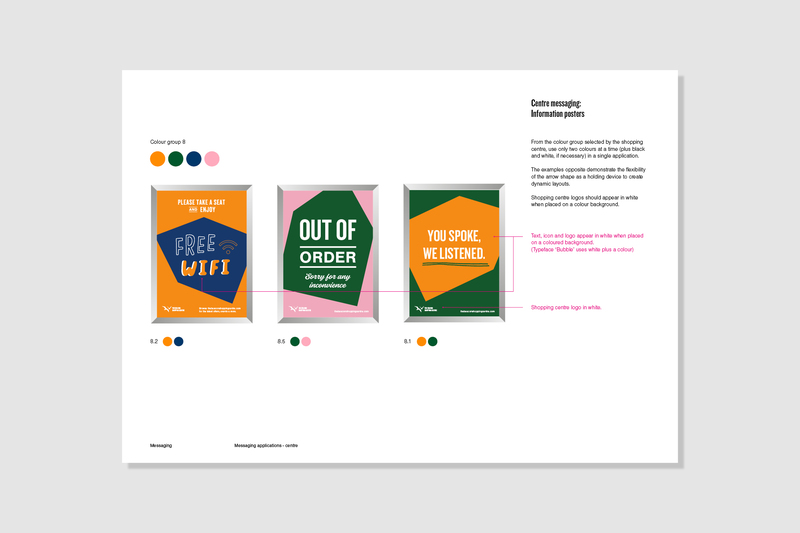 Each colour group consisted of 4 colours, and a range of 6 duo colours that are used for core wayfinding. 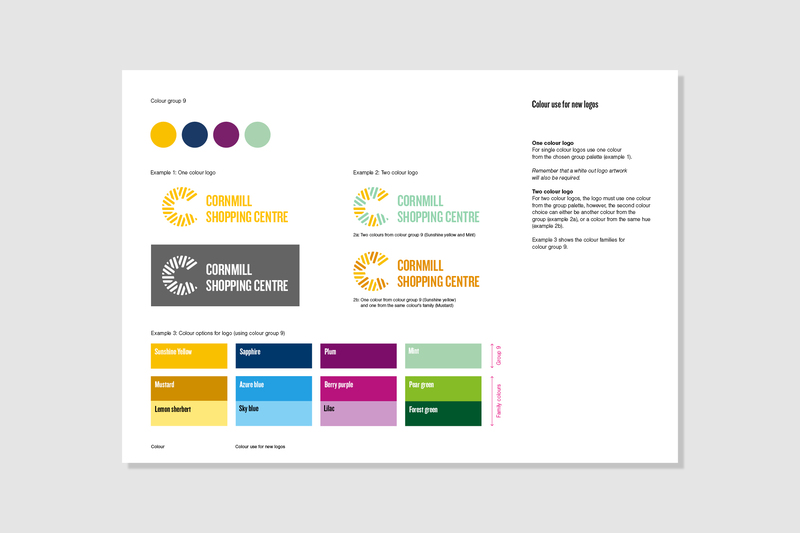 A shopping centre could chose their preferred palette and duo. 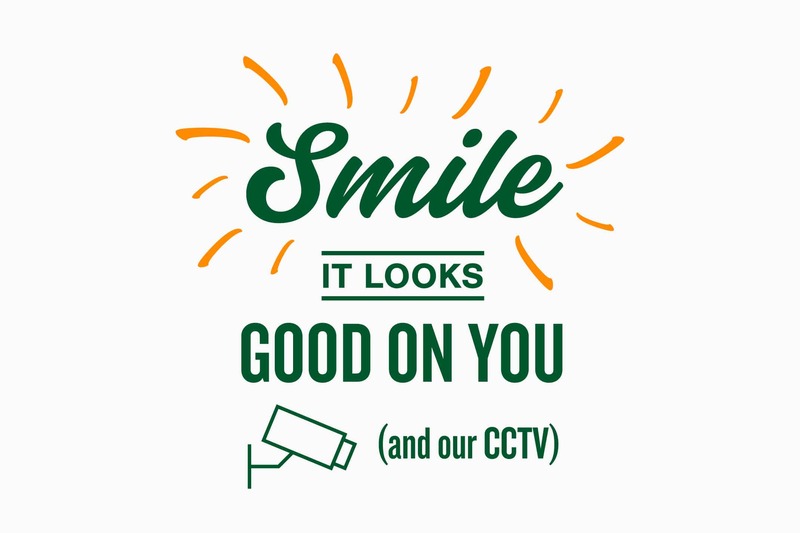 This ensured the graphics would appear coherent and easily recognisable as a system within each shopping centre. Each of NewRiver’s shopping centres has its own logo so we created a system to unify these and make them consistent with the rest of the environmental graphics. 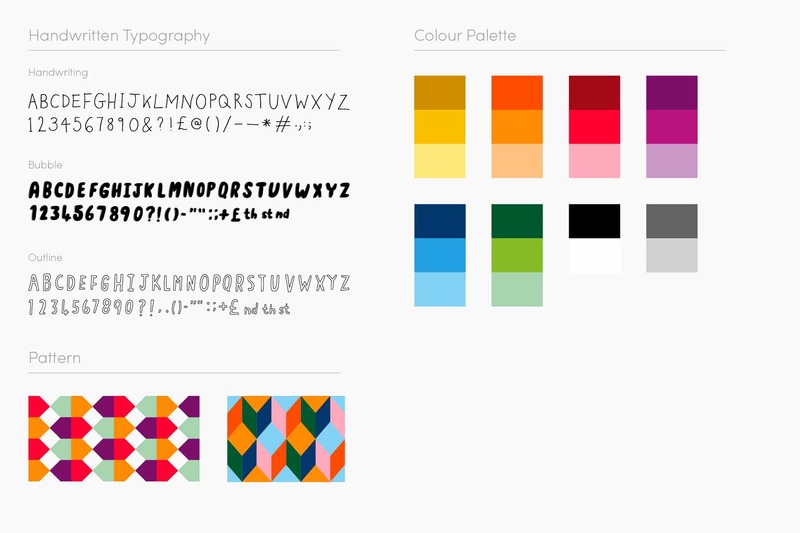 This involved using the new typography, colour palette and consistent proportion sizing between the symbol and wordmark. 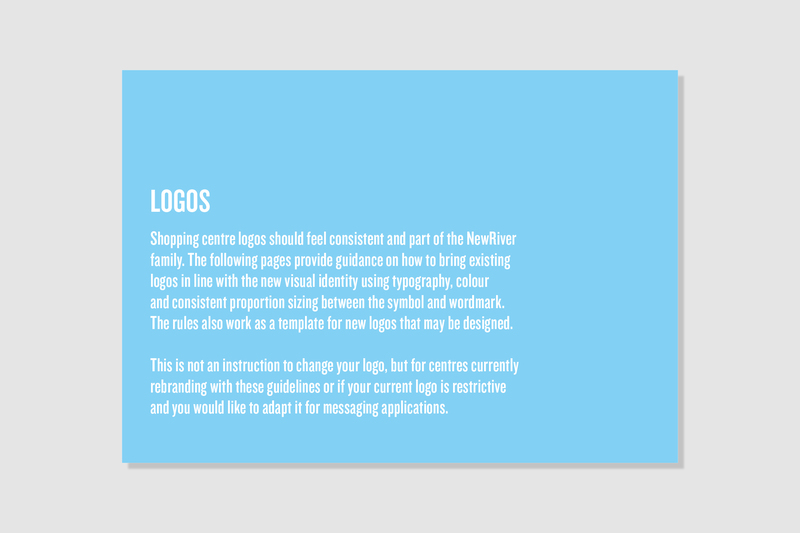 The rules also worked as a template for new logos that may be designed. 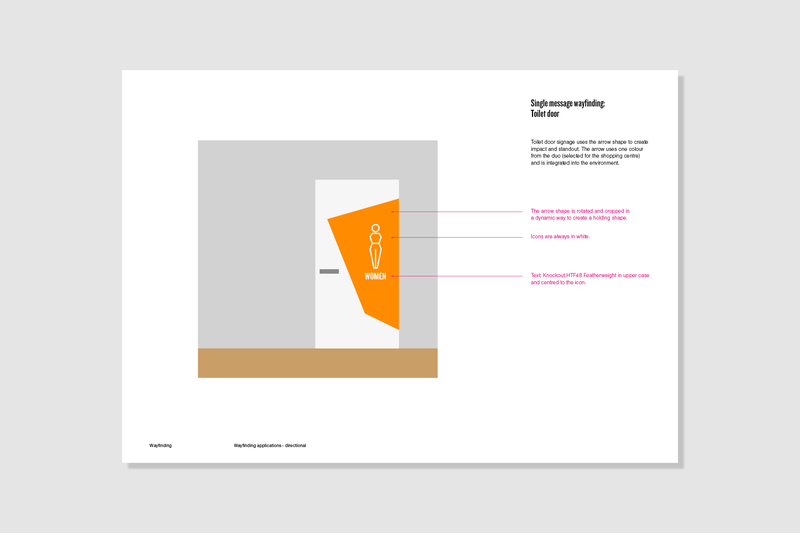 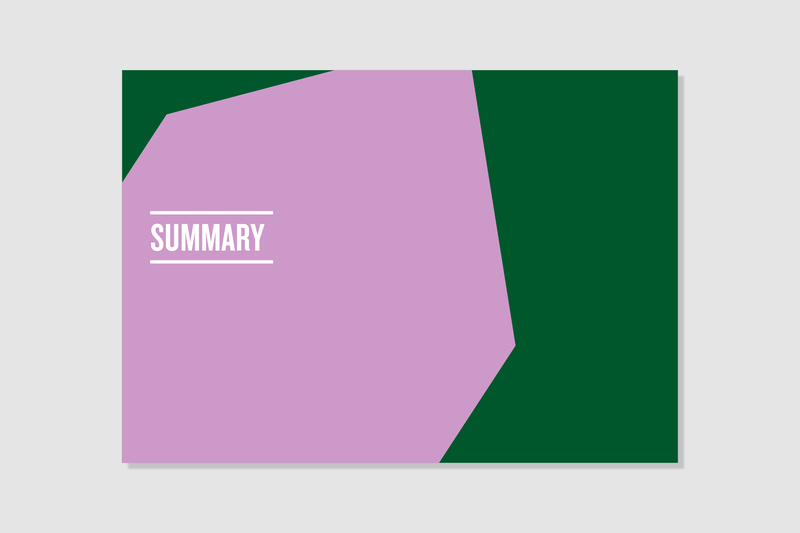 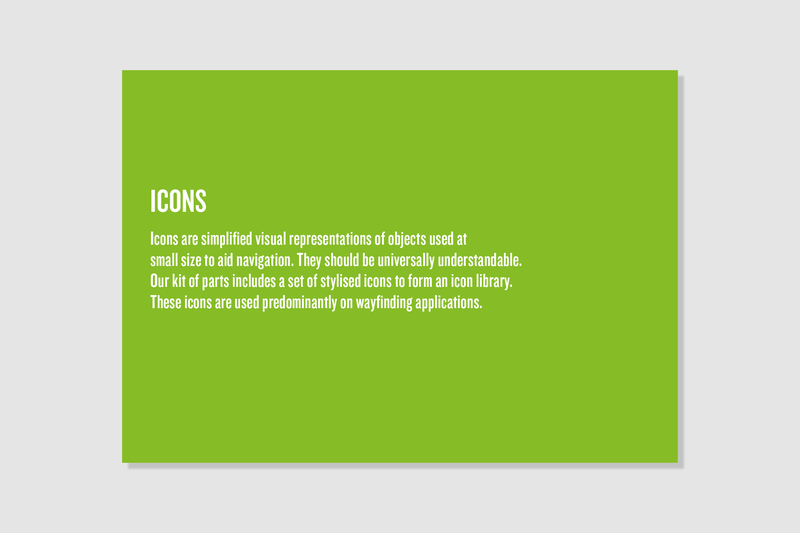 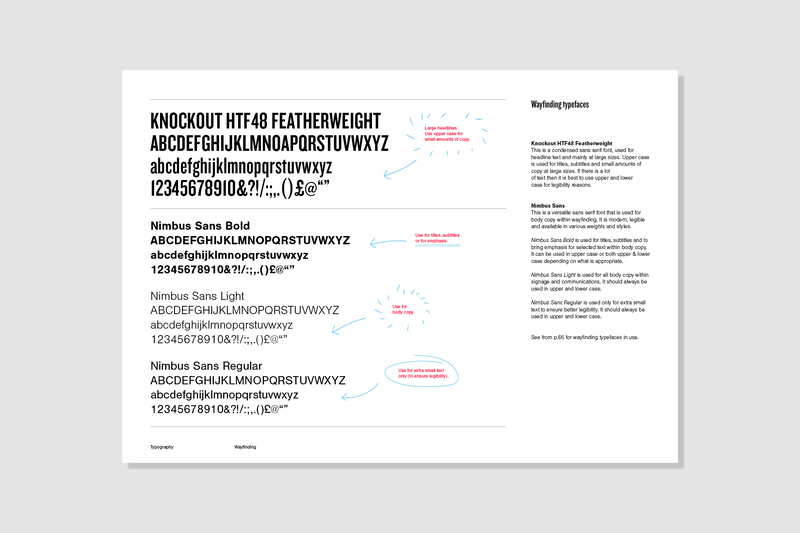 Once the identity was finalised we created an in-depth guideline document. Example designs were used to demonstrate how the elements worked. 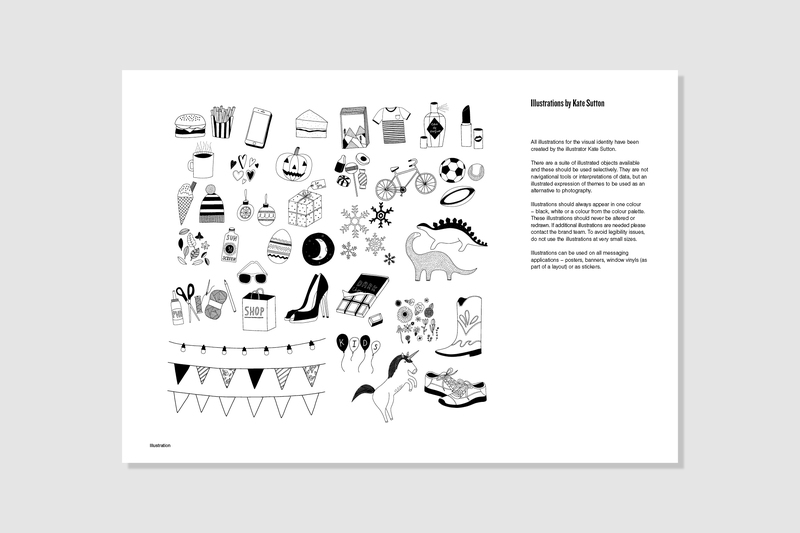 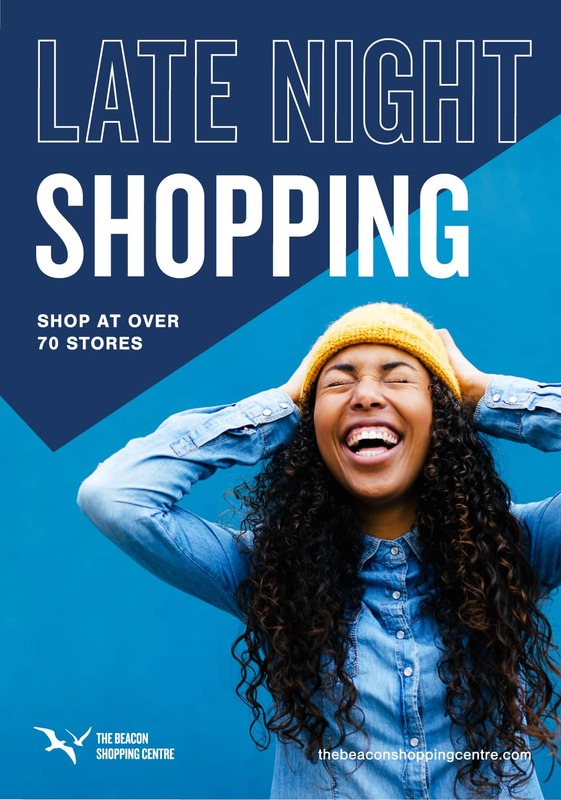 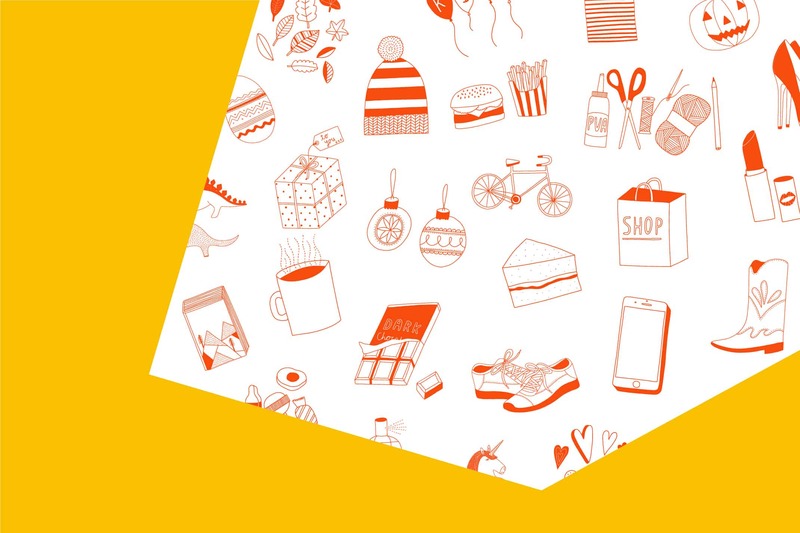 The guidelines covered the brand personality (values, tone of voice and how to engage with customers) as well as how to apply the visual identity across the shopping centres. 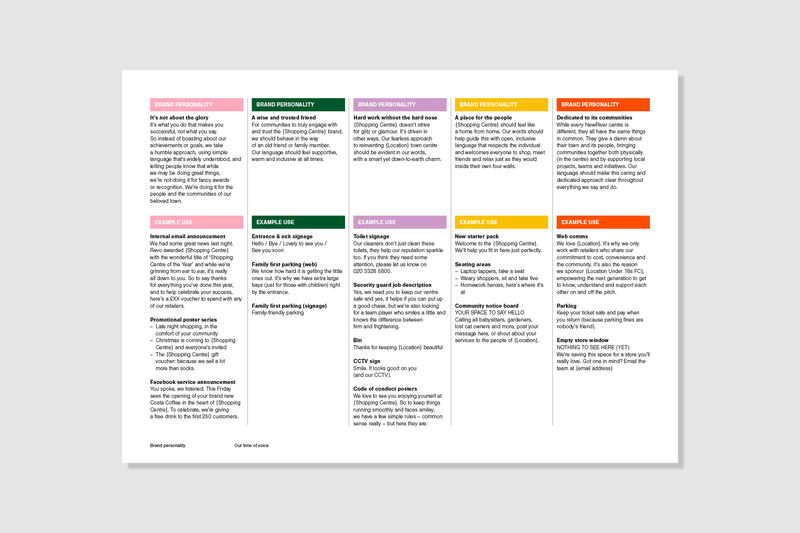 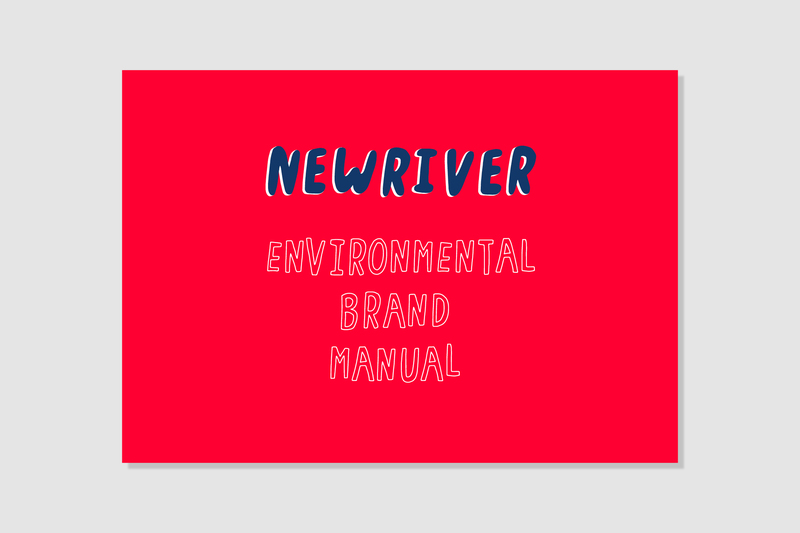 We are now working with NewRiver on the roll out and implementation of the new environmental style guides for their shopping centres by working on a range of live sites and examples.